This is a new page in filipinosaround.com. 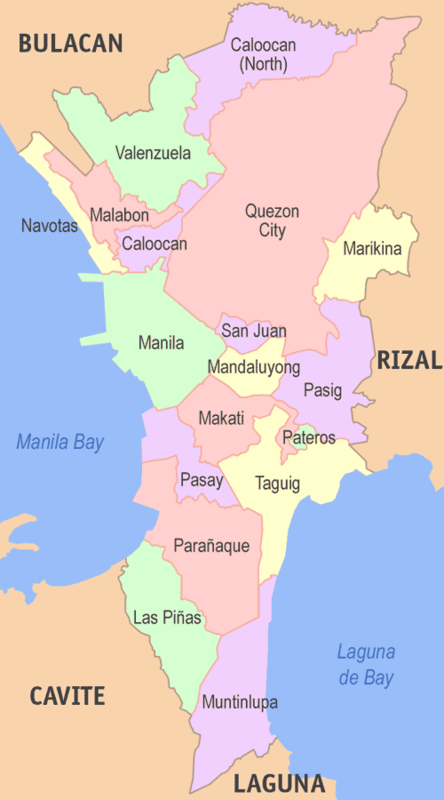 The Philippines has 81 provinces and they are the primary political and administrative divisions of the country. The provinces are further subdivided into component cities and municipalities. The center is the National Capital Region, as well as independent cities are independent of any provincial government. Each of the provinces has its own elected legislative body called the Sangguniang Panlalawigan with a duly elected Governor heading the province. With 7,107 Islands, a land area of 343,448 square kilometers, Philippines is bigger than Italy, the Great Britain or North & South Korean put together. The country has been dubbed as the Pearl of the Orient. True enough, the country has countless places to visit and see, it is one country where your adventure could be taken to the hilt. Tourist attractions are countless! There are places one would not see anywhere else in the world. The various foreign influences has led the country into its diversity – experiencing the culture, the people, the culinary and witnessing colourful festivals are priceless life moments. Every two weeks, we are going to feature a Province in the Philippines to assist tourists, foreigners, researchers, students and travellers , to learn about a bit of the history, the beautiful, interesting and colourful festivals celebrated in each of them. We shall likewise feature some of the places to visit in the featured province, to give them a quick view of what to see and tour, plus insights on the tasty typical local cuisine and places to stay. Hereunder is the map of the Philippines and a list of the Provinces in alphabetical order. And following are just some videos of festivals to watch and marvel in the Philippines.! If you happen to visit Madrid, Spain, don’t just wander around, get to know what made this city important to our heritage as Filipinos. Our national hero Dr. Jose Rizal spent a great deal of his time studying in Madrid and traveling around Spain. His sojourn was not left without a trace, because in those places he frequented and visited in Madrid, markers had been posted to recognize our hero’s presence in the same token as the Spanish community’s gesture of giving recognition to Rizal’s role in enhancing the good ties between Spain and the Philippines. I don’t have to elaborate much about what happened in the past, we all know our history and we all know ourselves as Filipinos. We reminisce the good side and learn from the lessons of the past in our history. It is better to value the present and look forward to the future that would be beneficial for the two countries. Allow yourself to take a “trip” with Rizal in this piece of his tour and relive the mementos he found himself while in Madrid. Thanks to those who made this information material a worthy remembrance about our national hero Dr. Jose Rizal’s, moments in Madrid. This is RIZAL’S MADRID.